The building was built in 1828 as a school and for other purposes on the East Public Square. 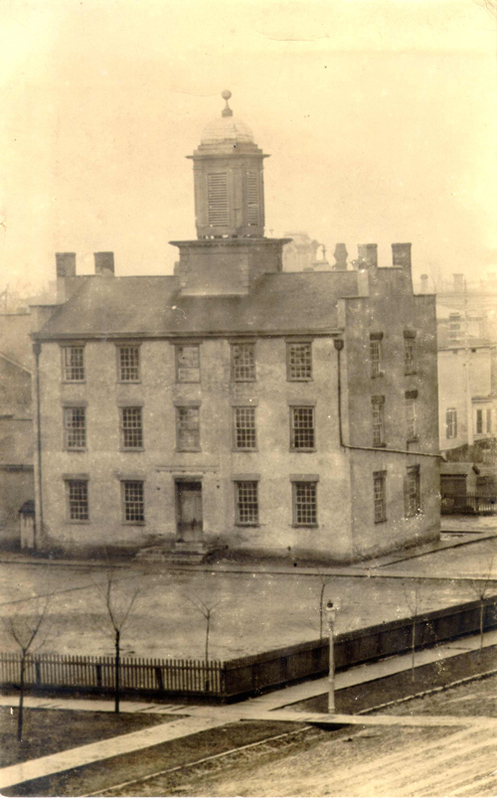 The building remained partially unfinished until 1838 when it was appropriated for use as the Court House for the newly created Erie County. It was used for County purposes until the new Court House was built in 1874. It was used as a school from 1874 until the building was razed in 1886. 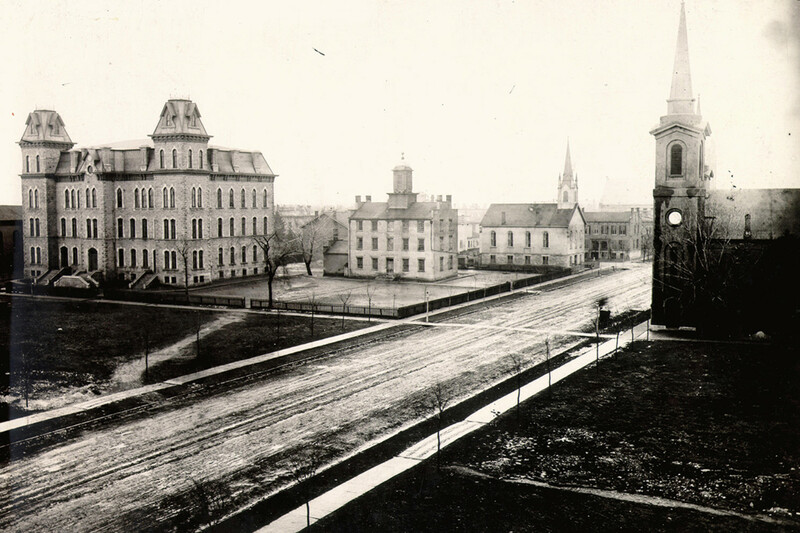 In the above photograph (looking southeast) one can see the Academy Building in the center, the Sandusky High School (built in 1867) to the left. On the right is the Emanuel Church (Built in 1866 and still in use today) and on the far right the old Congregational Church (1836). On the right photograph one can see the Academy building, Emanuel Church, and Sts Peter and Paul Church. It appears there is quite an event happening on Columbus Avenue.